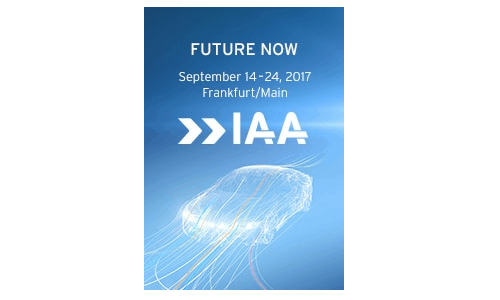 From September 14-17 2017, the IAA / New Mobility World in Frankfurt will bring together the automobile industry, technology firms, startups, and industry, to shape the future of mobility. And we will show an exciting new technology that can take the micro-optics producers in the automotive industry steps ahead! Meet the IMS-staff at The New Mobility World (NMW)! NMW is the cross-industry B2B event for the future of automotive mobility. It is part of the IAA, the International Motor Show that showcases the latest trends in cars and mobility. You can meet the IMS-staff at our booth in the Holland Pavillion, located in Hall 3.1 with booth number A31/A38. Products such as micro optics which will be used more and more in self-driving cars (ADAS) or new electric cars. These products are typically small, have stringent quality requirements and their market presence will grow significantly in the coming years. We have the know-how on manufacturing these micro-optics with very high accuracy, which we have gained over the last decade working for the smart devices industry. At the IAA we will show what can happen if you combine our knowledge in the micro-optics assembly from the smart devices industry with our knowledge of manufacturing automotive components. It is a unique combination, and now it’s available for the automotive industry! Sounds interesting? Swing by and let’s discuss new possibilities in production automation for your innovative micro-optic products. And besides this exciting new technology which we will show you, a few very innovative and sustainable automobiles will be shown! Joining us at the Holland Booth will be teams from universities and colleges from around the Netherlands, that have participated in several races with their sustainable cars. Come and take a closer look at these inventions for the future of mobility! The trade fair will take place from 14-17 September in FrankFurt/Main.